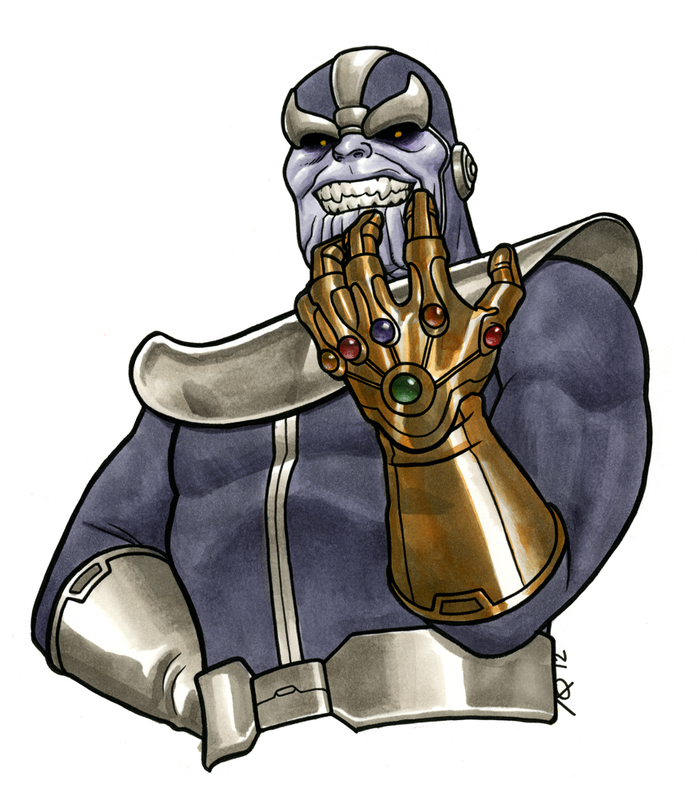 Joe Quinones' interweb-log: Thanos: To Infinity and Beyond! Thanos: To Infinity and Beyond! Thanos! From Boston Comic Con, 2012. Copic markers, watercolor, pen & ink on 9x12” bristol board. Nice menacing upward looking angle on Thanos. Great post title too! A Thanos/Buzz Lightyear mash up would be interesting.